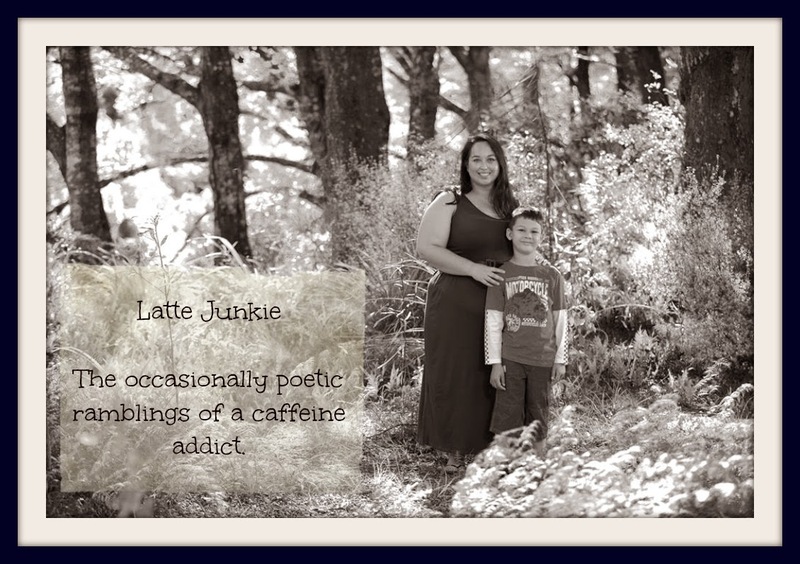 Latte Junkie: Toddler food, Monkey-style! The one thing I am super proud about as a mum is that Monkey (2 and a half) will eat practically anything. He will try everything once if he isn't too tired. Singing the song from Pooh Bear "Give it a try..." works really well to nudge him if he is teetering on unwilling. 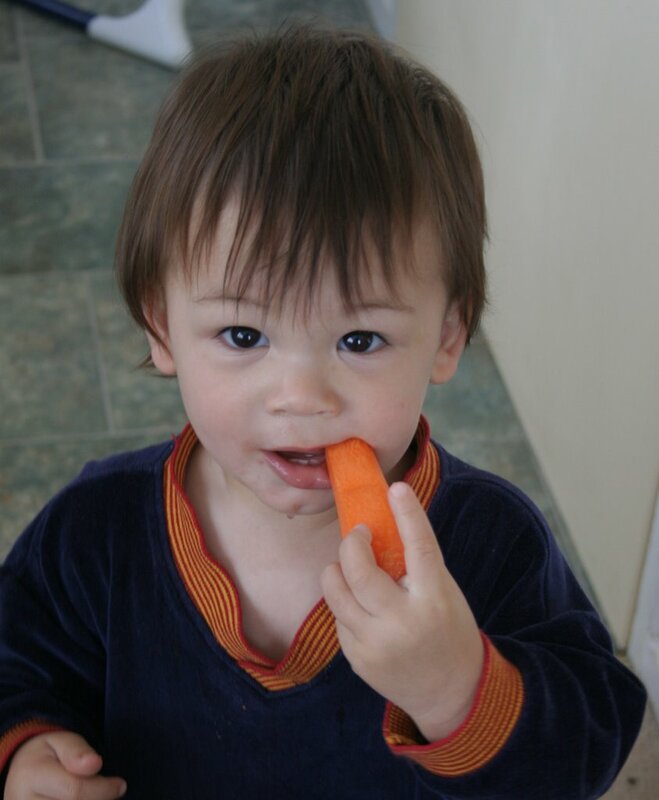 18 months eating carrot as a treat. Given a choice at the grocery store he will happily help himself to capsicum, fruit, tomatoes, cucumber and any fruit he doesn't recognise will often be put in the trolley to "try". Go to the Deli and he will ask for olives, salami and sun-dried tomatoes. Hummus and any dip will be asked for and devoured with carrot sticks, cucumber and rice crackers. Go to a food court and he will head for the nearest sushi place (in fact we can't go to the local mall without tears about needing sushi), if his hoso is sold out he will happily eat chicken tikka or tandoor with naan and aloo gobi. At home I can cook him anything and as long as he is part of the process he will eat enough to be full... even if he doesn't really like it. Just turned two. Eating Sushi. Tonight, for example, we made homemade pizza. He chose the toppings at the deli and we had salami, sun-dried tomato, feta, and roasted capsicum on a homemade base infused with garlic and oregano. We topped it with fresh thyme and he ate four slices. When I am feeling like I am not doing the best job as a mum, I remind myself that I have an adventurous eater who will always be willing to try things, even the cold dregs of my coffee.